Instantaneous Personal Magnetism is a new collection of some my old songs now available on spotify, iTunes, CD Baby, etc. I wrote and recorded these songs in a variety of places—bedrooms, living rooms, guest rooms, kitchens, proper recording studios—in San Francisco and Montreal during the 1990s and early 2000s, and Tyler Fitzmaurice mixed them in Montreal in 2016. Among those who contributed to these recordings are Kenny Smilovitch (acoustic guitar and charango), Lorne Scodnick (electric guitar), Andrew Rishikof (snare and brushes), Emi Honda (the saw) and Tyler Fitzmaurice (beats and keyboard samples). A precise list of credits can be found on the CDBaby page for the album. 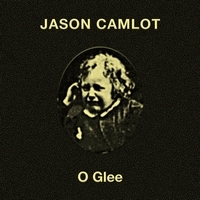 The cover art is by Taylan Ulgar, who also did the cover for the JC SPED album. I think the recordings have an intimate, homey feel, and there are some nice weird sounds in most of them. 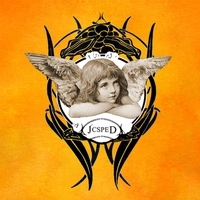 JC SPED was released in 2015, consisting of studio recordings of some 4-track Casio recordings made in the 1990s, plus a bunch of newer songs. 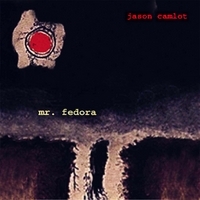 O Glee and Mr. Fedora were two cassette albums of songs I produced when I was a graduate student living in San Francisco in the 1990s. They were recorded at Sharkbite Studios in a HUGE warehouse room, me sitting in the middle of the space with a Quebe-made nylon string La Patrie guitar that I rented from Haight Street Music just for the sessions (because I’d traded my own acoustic guitar for an electric). I sold these tapes whenever I played out, and they were also available, at the time, through a distributor called Amatish Music (now defunct). More recently, a recording collective run by Dan Bryk, called Urban Myth Recordings, asked to re-release these two cassette albums as digital downloads. So now they are available in that way.